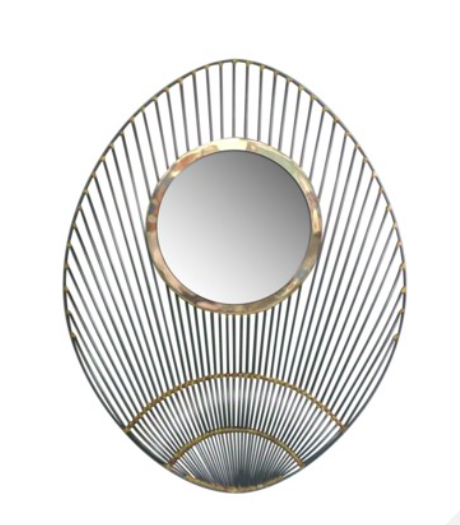 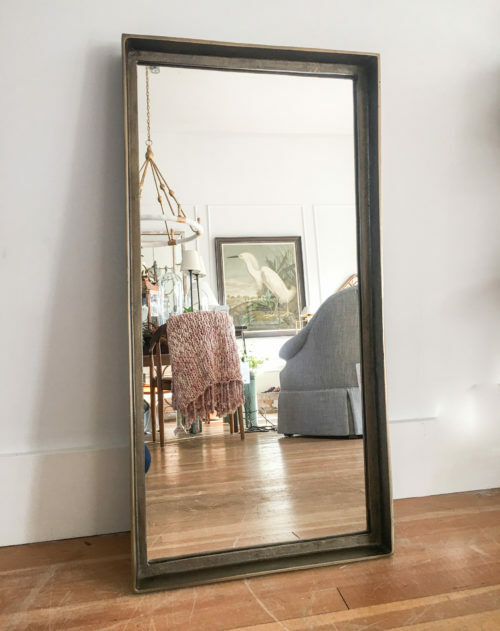 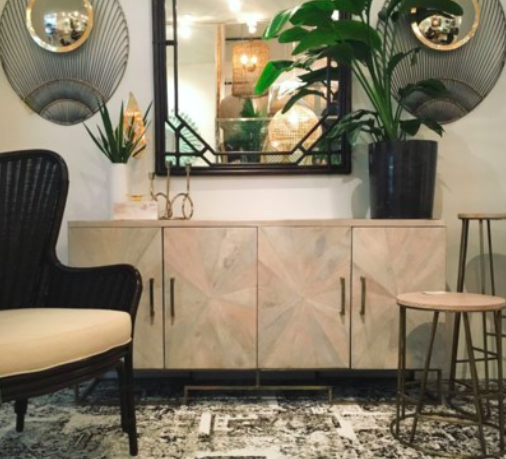 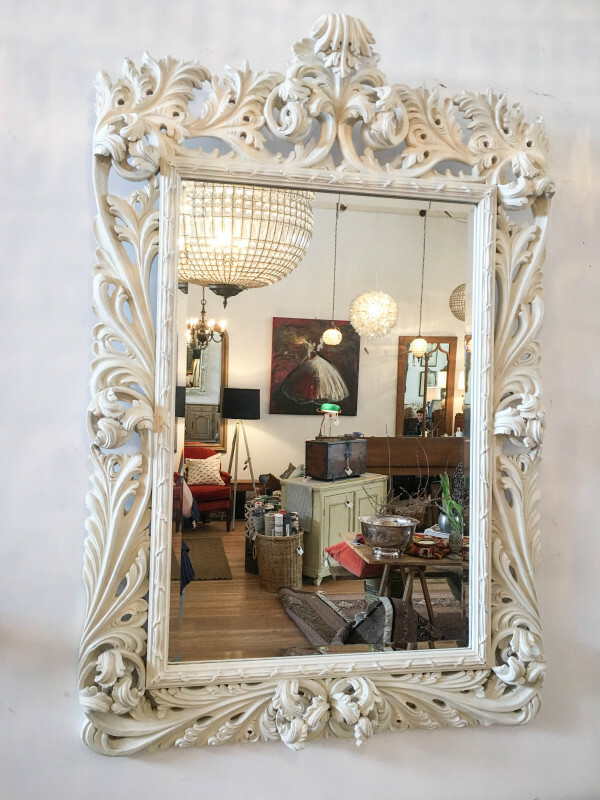 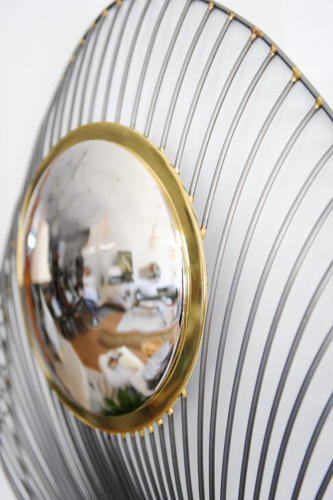 Kabuki Mirror – Gild and Co. 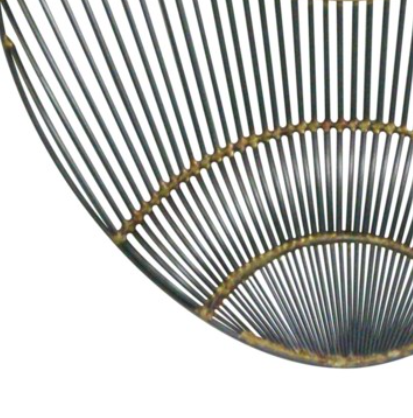 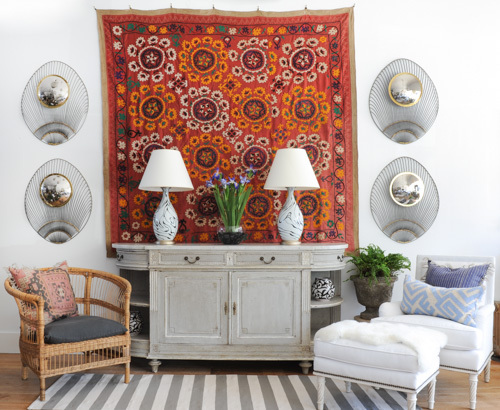 This bold fan like motif draws its inspiration from avante-garde Japanese theatre. 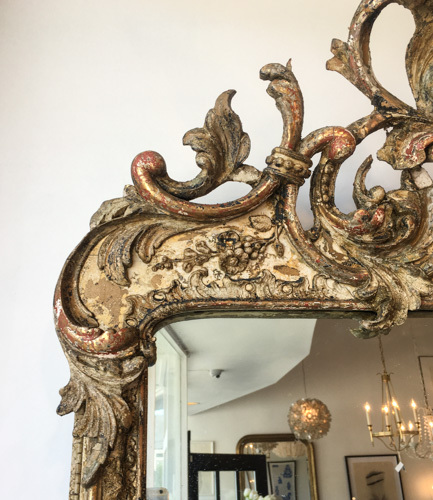 Kabuki is the art of singing and dancing in_a_manner that is out of the ordinary, an obvious inspiration from Florences Broadhurst’s theatrical past. 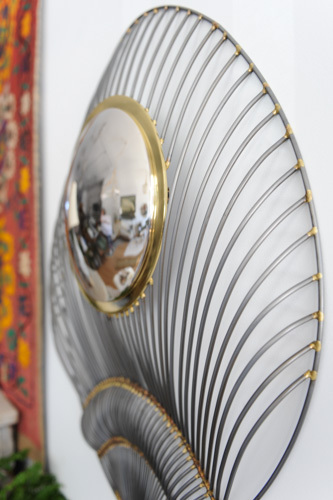 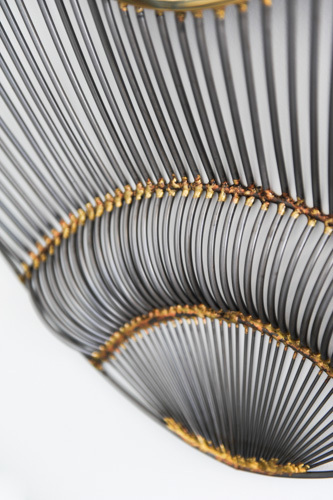 Interpreted in steel wire with a convex mirror this makes for some playful wall art.